Fantastic post! We get comments all the time from people mistaking Brychwyn for a Pembroke corgi about how nice it is that he didn't have his tail docked. 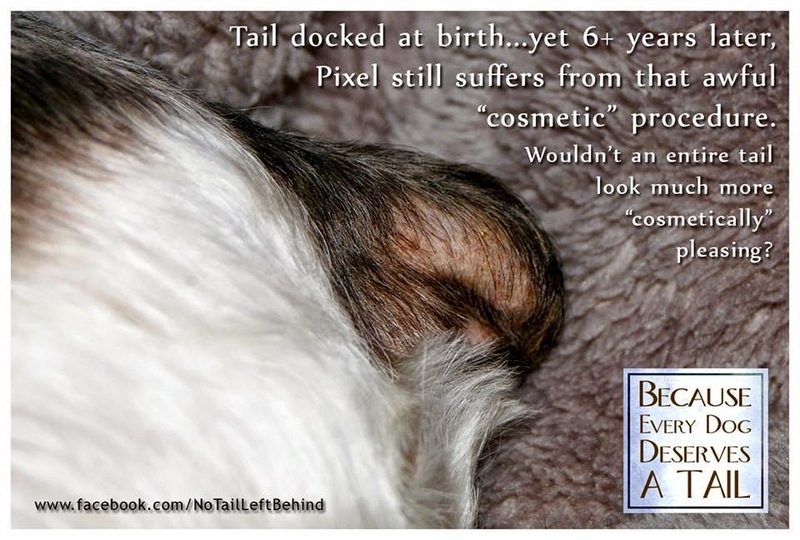 The sad fact is that well bred Pembroke corgis should be born with a naturally bobbed tail so not only is tail docking painful, cruel and unnecessary but it is also used to cover up poor breeding! There is no excuse for these archaic cosmetic practices to still exist in our society. 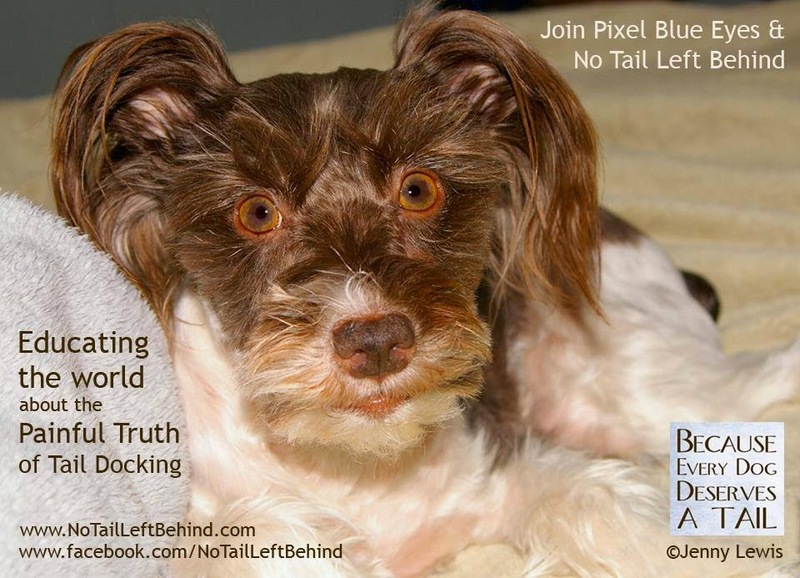 And Pixel makes a beautiful poster pup for the cause to end tail docking! 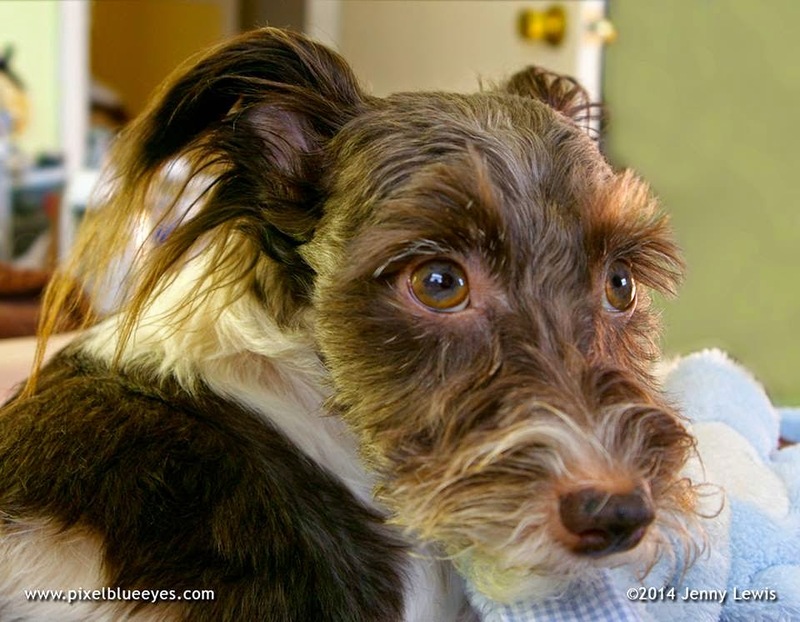 Thank you SO much for your support and for your compliments about Pixel & this post. Thank you for sharing about Brychwyn and the details about the Pembroke naturally bobbed tails. It is so interesting what people think about different breeds and what should or should not be there naturally. I must admit that before I started doing research to help Pixel years ago, I (*embarrassed look on face*) thought Poodles were born with the short floofy tails. I am now connected with dozens of Poodle breeders who never docked or who chose to STOP docking after reading about No Tail Left Behind and Pixel. I'd be honored to have you maybe post a photo of Brychwyn on my No Tail Left Behind FB page and share your experiences in regard to his tail, as well as the information about Pembroke Corgis. I'm glad to know that people like you are advocating against this cruel practice. 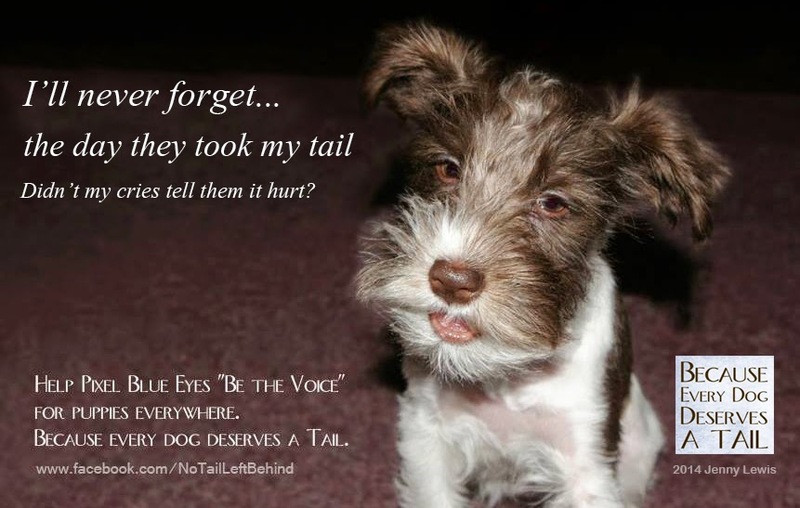 Another point is that tails are important for communication with other dogs. Dogs with docked tails are unable to fully signal their intentions and mindset to other dogs. Question: is the AKC supporting docked tails in their breed standards? Thanks for a great post. Thank you for advocating about this cruel issue. Amputation and surgery to please the human whim and commercial purposes is abusive and maims for life. Tails, claws, ears, all serve a purpose in their original form. 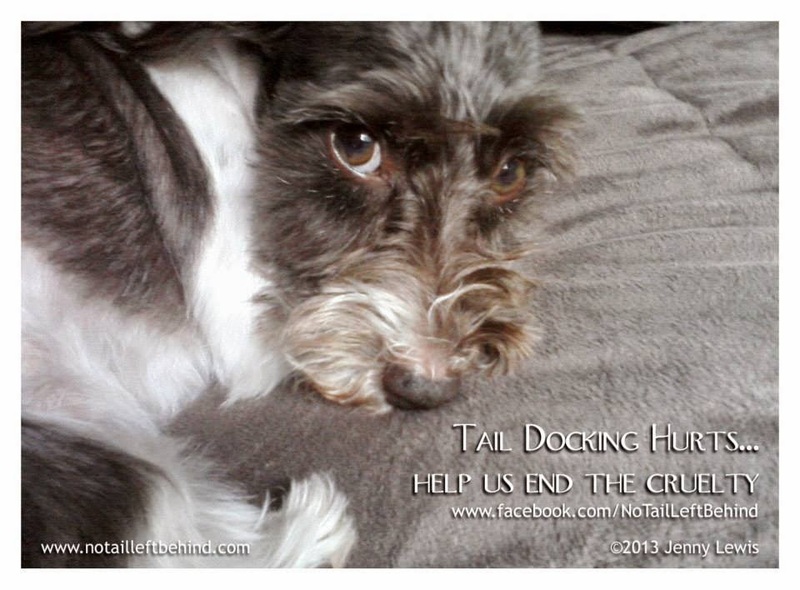 Cosmetic tail docking needs to be banned everywhere and I"ll lobby for a change. Thank you, sweet Pixel, for being a brave and much-needed voice. Education is key. Hugs to you. I shared this post in my blog, here. That is simply barbaric and it makes no sense to me. Of course, I think having a dogs ears cropped is just as brutal. 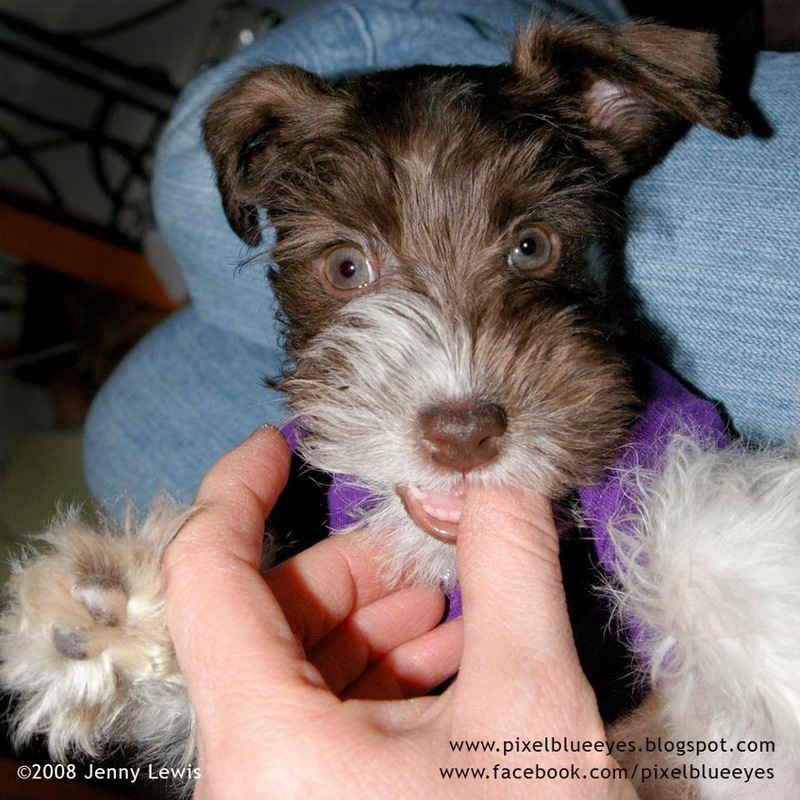 I had a miniature Schnauzer and left his ears the way they were meant to be. People constantly asked me when i was going to get his ears "fixed." I told them his ears weren't broken! Humans do this to dogs for their satisfaction and vanity. It's just sick! Thanks for being a voice!